Apply the natural Vitamin C! 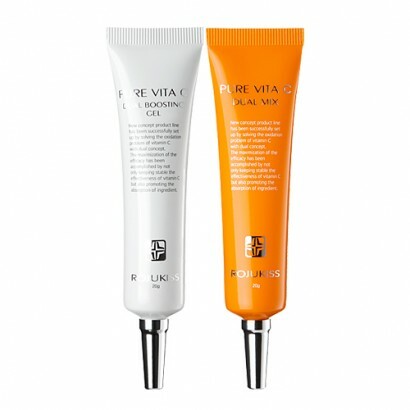 – Rojukiss Pure Vita C Dual Mix keeps the pure vitamin C (which oxidizes fast in the water) in the form of powder and provides the freshly made vitamin C. Oxidized vitamin C loses its effect as vitamin C, an changes its color and scent. Besides, it can damage your skin. * It absorbs sebum so well that you can wake up with soft and smooth skin. 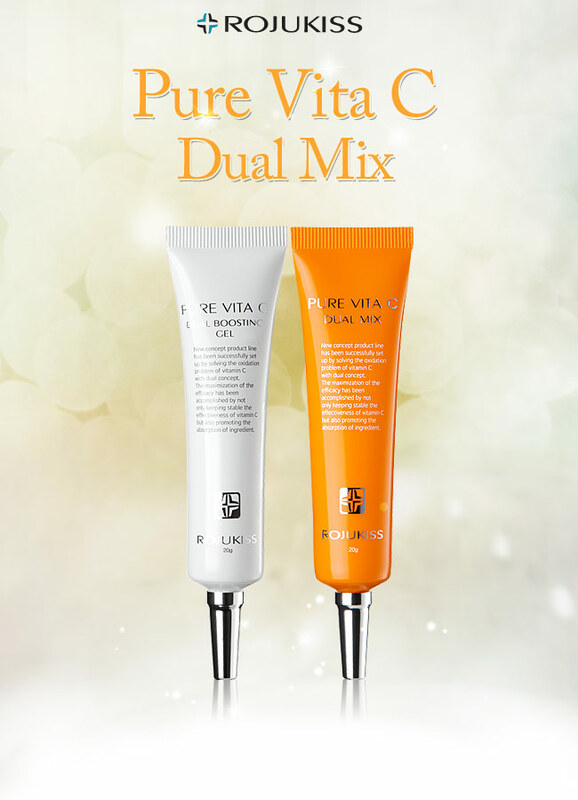 Why Pure Vitamin C Dual Mix is special? 1. Pure vitamin C is stabilized in a separate container! To complement the shortcoming of pure vitamin C that oxidize fast in the water, vitamin C Powder and solution are kept separately. When you mix it before use, you can use the freshest vitamin C in the solution that enhances the vitamin absorption to your skin. The vitamin in liquid form changes its color and scent and oxidizes as time goes by. So it is not very effective. Due to the oxidization, old Vitamin c smells bad when you use it. 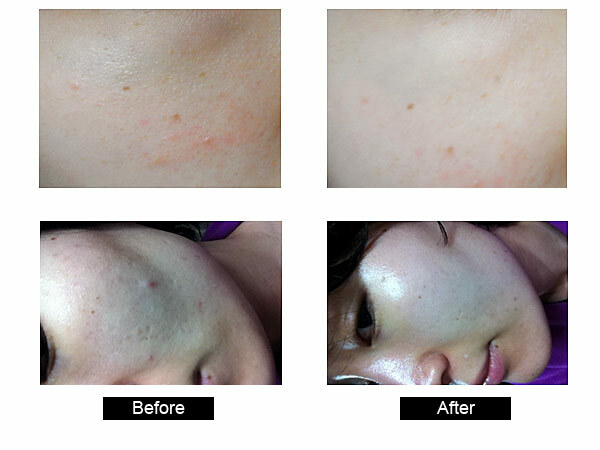 To prevent this from happening, Rojukiss Dual Mix Line products separated vitamin C from solution and minimize the oxidization of vitamin C and provide the freshest vitamin C.
-pure vitamin C: It helps the rigid and rough skin to stay flexible and clean. – Glycerin: it moisturizes the skin that is vulnerable to become dry in any circumstances (cold and windy weather or air pollution) so that the pure vitamin C can be absorbed into the skin. – Orange oil: it can soothe the rigid and rough skin with the refreshing orange scent. 1. Due to the nature of vitamin C, use it at night when there is no sunlight. 2. Pump 2~3 times on your hand. 3. Mix the two bags by using your fingers. 4. Spread the mix all over your face thinly. 5. be careful not to touch your eyes.